Sydney Hutchinson, assistant professor of music history and cultures in the College of Arts and Sciences, has been named a 2016 Judith Seinfeld Distinguished Fellow. Endowed by alumna and University Trustee Judith Greenberg Seinfeld ’56, the fellowship recognizes faculty members who have shown a passion for excellence and exceptional creativity in any academic or artistic field or endeavor. In classes such as “Performance Live” and “Music in Multicultural America,” Hutchinson has showcased the rich cultural diversity of the larger community, introducing students to local musicians from Cuban, Bosnian, Haudenosaunee and West African traditions, among others. She also has organized local dance workshops and master classes at La Casita Cultural Center and Wacheva Cultural Arts. Farther afield, she led a course for SU Abroad in Santiago, Dominican Republic, in which students documented various facets of a religious folk event. Their work is now part of an online archive of Dominican folk culture on the website of Centro León, the museum and cultural center that hosted the course. Hutchinson is the author of “Tigers of a Different Stripe: The Performance of Gender in Dominican Music,” scheduled for publication by University of Chicago Press in November; and “From Quebradita to Duranguense: Dance in Mexican American Youth Culture,” which was recognized with a special citation from the De La Torre Bueno Award for books on dance. She also edited, and contributed two chapters to, the book “Salsa World: A Global Dance in Local Contexts,” a compilation of essays that explore the popular dance style within the context of different geographical locales. 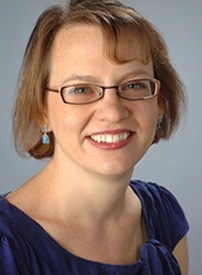 Hutchinson has served as a fellow of the American Association of University Women and, immediately prior to her arrival at Syracuse, as a Humboldt Postdoctoral Fellow at the Ethnological Museum in Berlin. She earned a Ph.D. in ethnomusicology from New York University. Judith Seinfeld, whose diverse career spans the creative arts as well as managing the family’s real estate enterprise, Heritage Management Co., has a long legacy of involvement with and support for Syracuse University. A life Trustee, she is a former chair of the board’s Academic Affairs Committee. She also has served on the Board of Advisors for the School of Education, the Advisory Board for the School of Architecture, and the Board of Governors of Hillel at Syracuse. The Judith Greenberg Seinfeld Fellowship is one of many lasting gifts Seinfeld has created for Syracuse over the years. Established in 2004, the fellowship recognizes faculty and students who have shown an extraordinary capacity for excellence, creativity, and innovation. The award runs in three-year cycles, with a faculty member selected in each of the first two years and two students selected in the third year. Individuals honored as Judith Greenberg Seinfeld Distinguished Fellows do not apply for the recognition. A selection committee of active and retired members of the University faculty review nominations submitted by academic deans, and the Chancellor makes the final selection. Awardees receive a restriction-free grant of $10,000, designed to encourage them in their work and make possible an initiative or project of special interest to them.